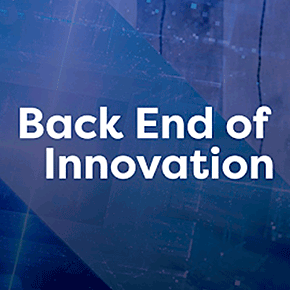 The Back End of Innovation conference is THE event that Innovation, R&D, and Product Development executives rely on as their annual best-practice roadmap. Ensure your corporate innovation team turns ideas into dollars, every time. Many of our most troubling challenges can best be solved when discussed in a group setting. This level of knowledge-sharing is designed to bring forth best practice methods from some of the industry’s leading practitioners and solution providers. Within these group discussions, innovation leaders will share strategies for overcoming some of their most troubling challenges when implementing game-changing innovation. These thought provoking sessions give you a unique perspective on how industry leaders and your peers are navigating the barriers that impede execution.